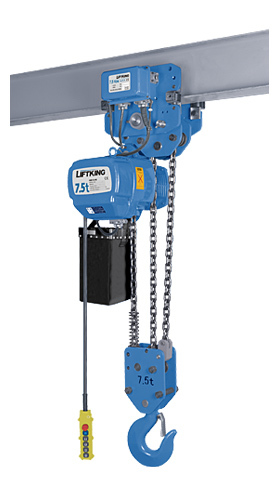 Liftking brand electric hoist is a small lifting equipment, small size,light weight, simple operation and easy to use etc.. 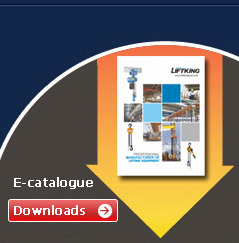 Widely use in industrial and mining enterprises, storage dock and other places. Chain hoists come in handy when the load you need to move is far more than you and all your strongest friends put together can handle. 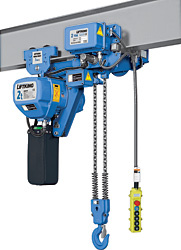 They are also widely used in every industry for which heavy lifting and moving are required. 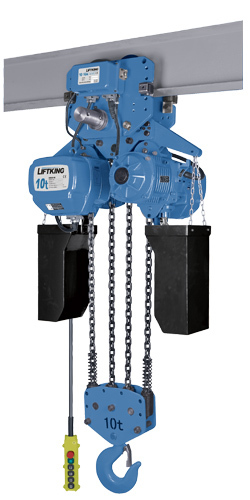 Chain hoists are the ideal movers when a very heavy load needs to be positioned and placed precisely. Their simple mechanism of geared trolleys and hand wheels is engineered to handle serious tonnage when called upon.